Happy April Fools’ Day! I wanted to share this harmless prank that is sure to bring a few chuckles to the entire family. I certainly am having a good laugh every time I open up my refrigerator! All you need to complete this gag is googly eyes and a hot glue gun! 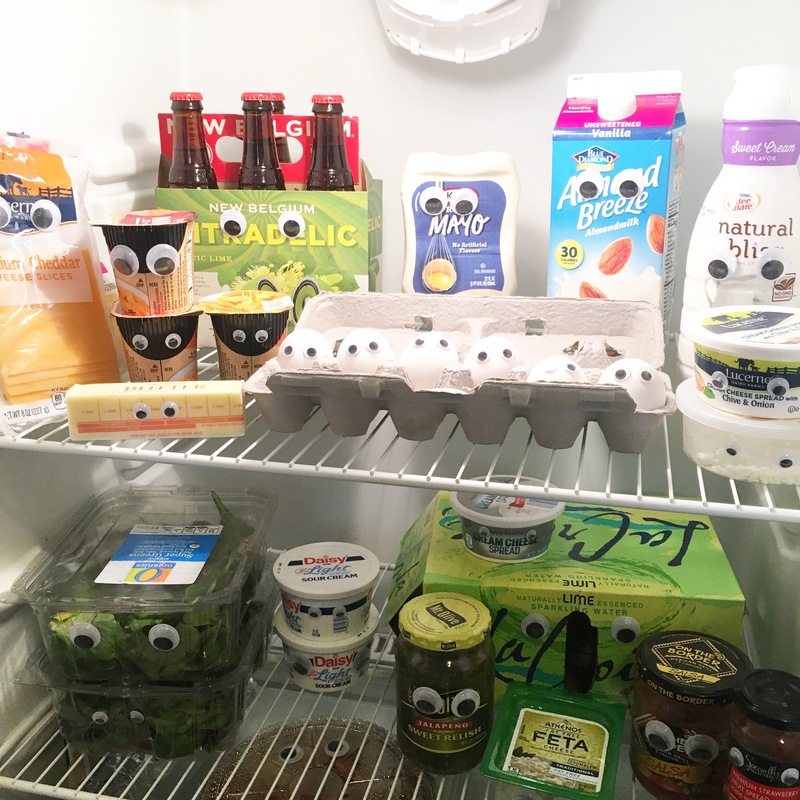 I picked up all my googly eyes from the dollar store.